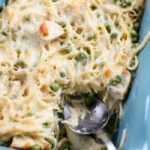 Easy chicken tetrazzini that’s perfect for your freezer! I’m baaack! The boys have yet another snow day today but I snuck in a few minutes to update you on one of our favorites! 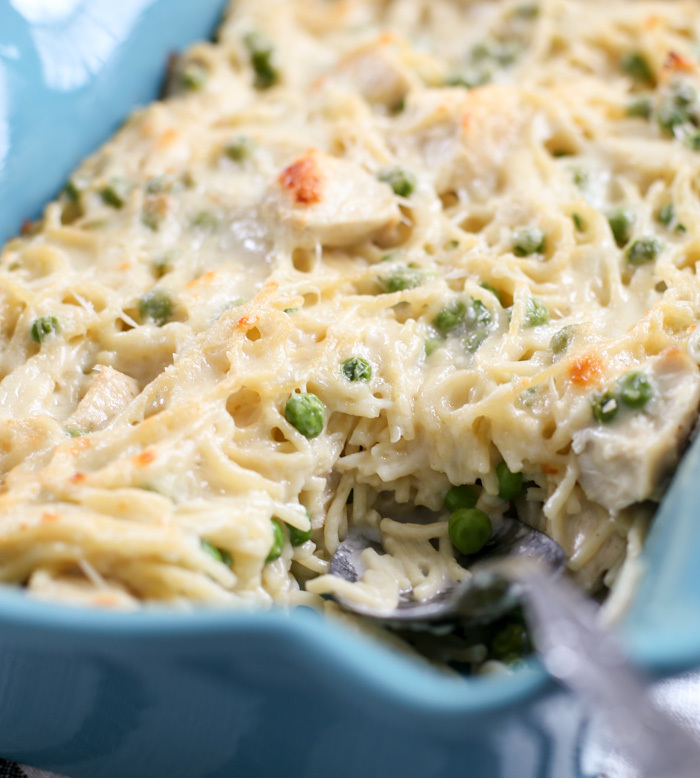 Chicken tetrazzini is one of those classic recipes that’s perfect anytime of year. 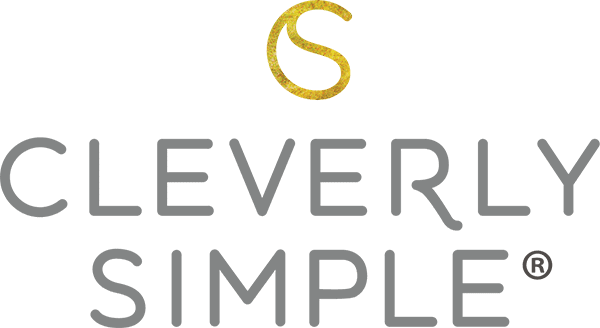 Most of the items you probably have on hand all the time. It can be made with leftover chicken or leftover turkey. I like to add peas to mine but you could do broccoli as well. With no canned soups in this recipe, the base is an easy basic roux with cheese. 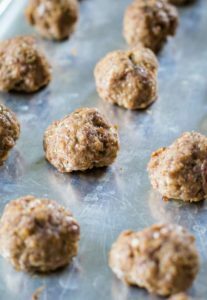 As a freezer meal, I’ve found it easy to quadruple the recipe to make extras for the freezer. 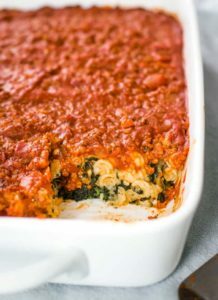 Like any saucy recipe, this one is best hot out of the oven but the ones I’ve made out of my freezer – I’ve heard no complaints about. You’ll first want to cook your chicken. I baked mine in the oven this time but you could also bake your chicken in the crockpot. After you have your chicken ready, set it aside and boil your noodles. In a BIG pot, I made the roux. Roux is a fancy name for a sauce made with liquid, butter and flour. You’ll want to add the butter first and melt it over medium heat. Add the flour slowly and whisk it until it becomes a thick paste. Slowly add the chicken broth, stirring constantly. Add the half and half or heavy cream or milk. Honestly, I use what’s in the refrigerator. Let it simmer for about five minutes or until the sauce has noticeably thickened. Add the mozzarella cheese and stir. Add salt and pepper to taste. And by taste, I mean taste. This will be the main sauce to this recipe so you want to season it to your liking. Personally, I don’t add more salt because the cheese adds it. I do add a little fresh pepper though. Yum! 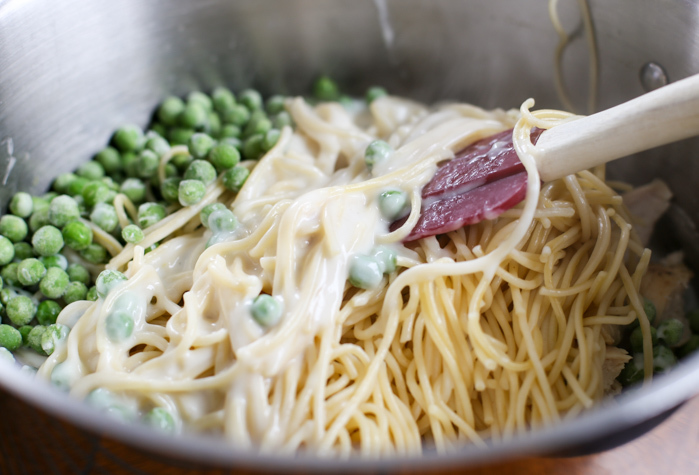 Once your roux is nice and thick, add the chicken, noodles and frozen peas. You can see now, why I needed a large pot! Stir them all together. You’re ready to assemble! If you’ve only made this for one casserole dish, add it to your pan that has been sprayed with cooking spray. In the past I’ve made four pans at once. It’s honestly just as much work so go for it if you have the freezer space! 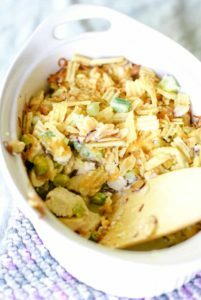 Bake the chicken tetrazzini for 45 minutes. (If it’s been frozen, it may take up to one hour to bake when thawed.) When it’s bubbly, it’s done! Enjoy! 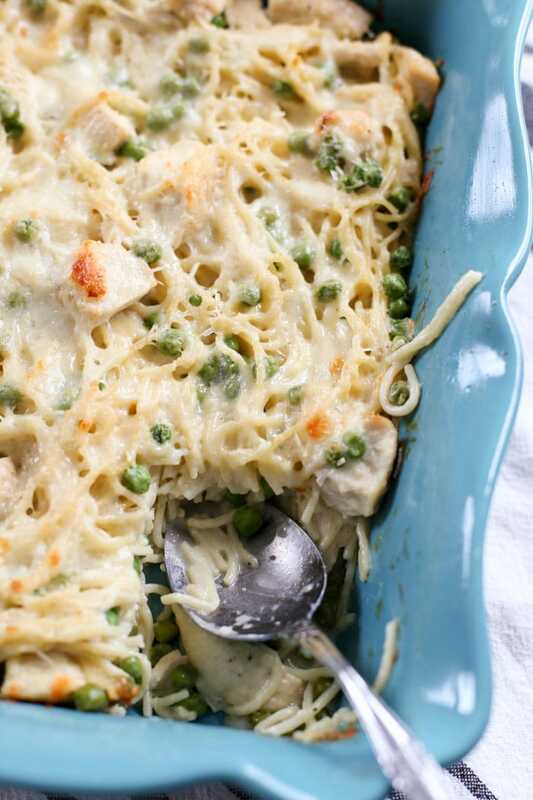 Easy homemade chicken tetrazzini recipe made with peas. Perfect for the freezer! Boil your noodles until al dente. Set aside. To make the roux (sauce), melt the butter in a large stock pot. Add the flour and make a thick paste, stirring constantly with a whisk. Slowly add the broth and half and half stirring constantly. Bring to a simmer, and let simmer for five minutes or until the sauce thickens. 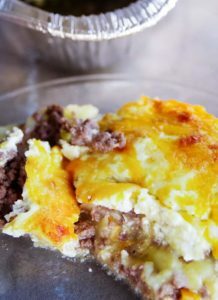 Mix well and add to a 7×11 or square casserole pan that has been sprayed with cooking spray. Bake at 350° Fahrenheit for 45 minutes. Double the recipe to make two pans of the recipe. One is for the oven and one is for the freezer. 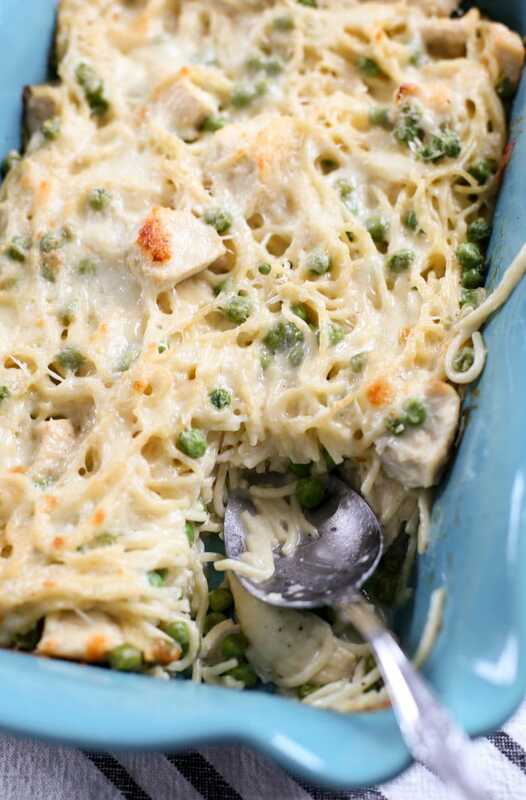 If making as a freezer meal you will add the chicken tetrazzini to the casserole pan to the freezer BEFORE baking it. Once thawed, you can then bake as directed above until it’s nice and bubbly. 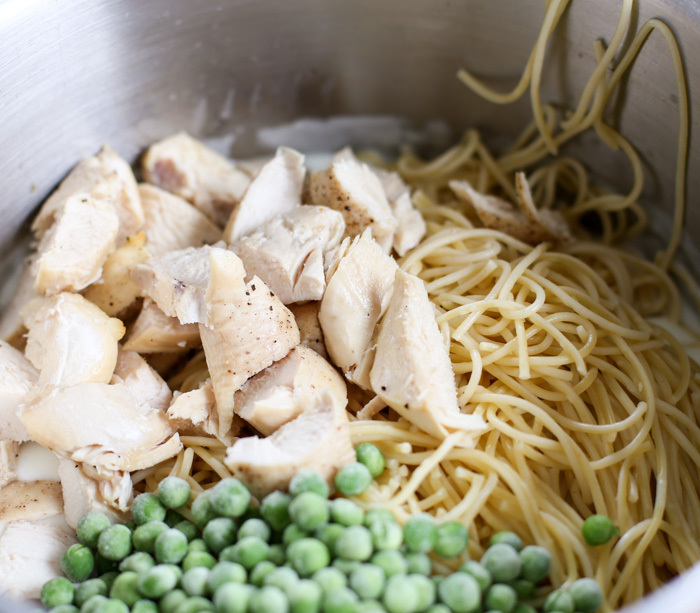 Find even more Chicken Freezer meals! You said you quadrupled the recipe. But the recipe that is listed is for one 13 ×9 pan correct ? And that one pan serves 12 ? And if you quadrupled the recipe then it would serve 48 ? I just want to make sure I am reading it right. I am cooking it for 30 people. Hi Molly. I quadrupled the recipe when I made it so I could stick future dinners in the freezer. However, the recipe card features the recipe to make only 1 pan (13×9) that serves 12. Hope that helps! Do you leave it covered when baking? I didn’t this time around. I like a crispy top. However, it won’t hurt it if you do. I would remove it the last few minutes if you do decide to cover it just to let the cheesy crisp up a bit. I made this for a family whose loved one was in ICU…they raved about it! Now I’m making it for a friend who fell and broke her shoulder and elbow…also making extra for my freezer! ? 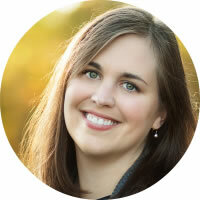 Hi Lynda, that’s so sweet of you! I’m glad they enjoyed it!